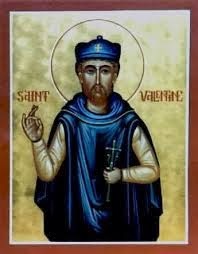 St. Valentine is associated with love. He's the patron saint of engaged couples and happy marriages. But did you know he is also the patron saint of beekeepers, travelers and people with epilepsy, the plague and fainting spells? He clearly has wide-ranging duties.